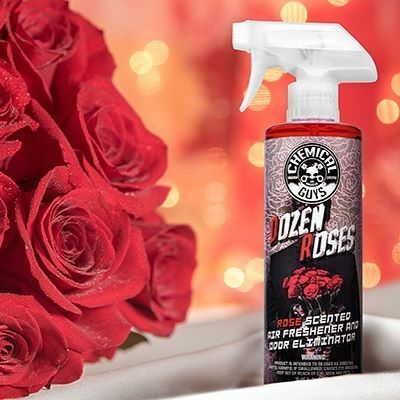 If your one true love has four wheels, an internal combustion engine, and bucket seats, then the Dozen Roses Air Freshener is the perfect scent for your love affair! Just one spray will infuse your stinky spaces both in and out of your car with the light, fresh scent of wild picked roses cut right at the stem. 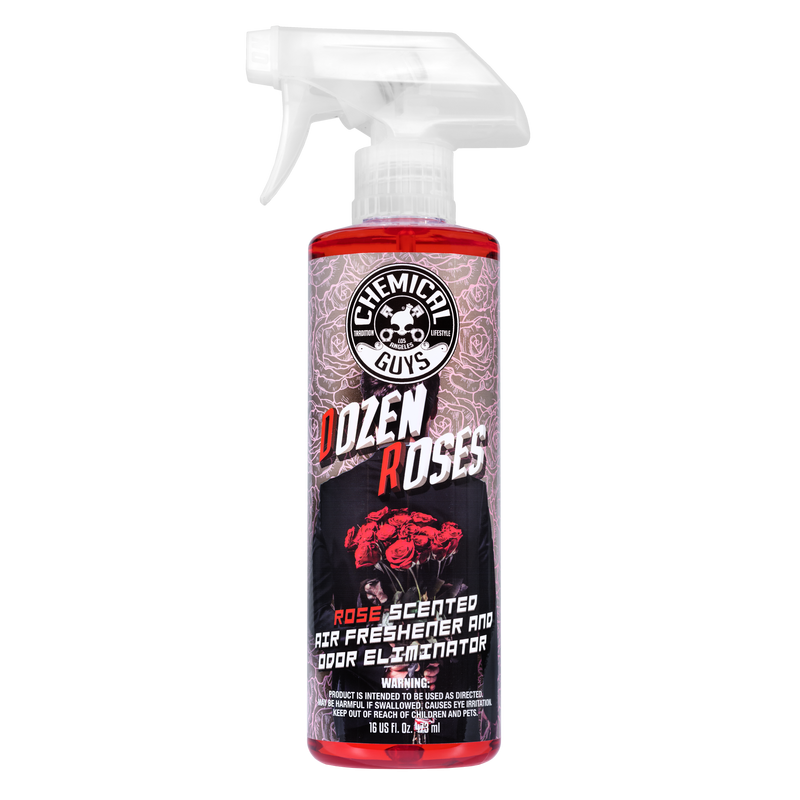 First, give your ride a lavish foam bath with a premium Chemical Guys soap, then spread an opulent coat of one of our luxurious waxes, and finally, finish up with a spritz of Dozen Roses Air Freshener. This invigorating scent recalls a giant red bouquet of the roses sure to show your sweetheart just how deep your love lies. Unlike real flowers, this air freshener is available at a moment’s notice! The titillating scent of the bright crimson flowers turns any old day into a special occasion perfect for celebrating the unending bond between you and your ride. This air freshener doesn’t just smell like a fresh just-picked rose to paint the perfect mood, it also contains powerful odor eliminators that destroy foul odors at their source. 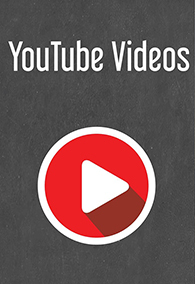 Don’t have anything planned for date night? Don’t worry, just spray Roses Air Freshener and spoil your sweetheart with the sweet scent of romance!